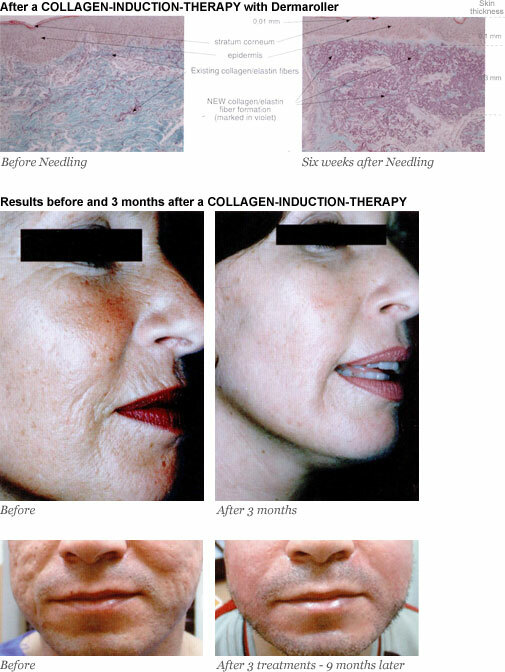 One to two days after the Collagen – Induction – Therapy, the skin starts with the production of elastin, collagens type I and III. The new fibers build a new collagen formation on the dermis, resulting in more collagen fiber strength and elasticity. This non-surgical treatment takes 20 minutes to an hour, depending on the area treated. The patient may experience a mild and temporary swelling and redness for 2-3 days. After 24 hours, a camouflage makeup maybe applied.